Despite the connection between high-paid jobs and further education, a new report from Mason Frank International shows that two-thirds of Salesforce professionals don’t hold the widely adopted opinion that degrees mean high earnings. The average US salary is estimated at just over $44,000 meaning a developer just starting out their career can stand to earn around $110,897 - 150% more than the average American worker. The Mason Frank study, collected from a total of 27,709 data points, found that whilst degrees were deemed less important in this sector, 73% of respondents hold an industry-specific certification instead, indicating a shifting attitude in the tech industry. Of the professionals holding a certification, 77% received financial support from their employer for their qualification and 93% of those who received support had their certifications paid for in full. Respondents come from a varied level of experience. Whilst 50% of the professionals surveyed have more than 10 years overall work experience, 40% have less than three years experience directly with Salesforce. 6% have more than 10 years Salesforce-specific experience. The Salesforce job market is famously growing at impressive speeds. Latest predictions revealed an anticipated 3.3 million jobs across the Salesforce industry by 2022. Salaries are increasing in line with demand, according to this year’s report revealed. The US was voted the most desirable destination for work relocation, followed by the UK, Australia, Canada, and Germany. The top reasons named for moving to another country for work are salary, culture and moving for family and friends. Respondents also reported a number of fringe benefits, ranging from a company laptop to health insurance, and the ability to work from home. Other benefits include flexible working hours, life insurance and a gym membership. 39% of respondents do not feel there is an equal balance of genders at senior board level. 53% believe their employer has a clear policy to support people of different gender identities. 61% of survey participants believe their employer is a champion of very strong equal working rights, 22% believe more could be done to support parental needs and 17% simply think their company is not doing enough to address the problem. Almost half of female respondents believe men are awarded a higher salary despite skill or experience. Just half of respondents state their company’s workforce includes people with disabilities. 17% of employers are reported to not have a mix of various cultural backgrounds. “This year’s survey was the biggest we’ve ever held and the most data we’ve analyzed,” says Andy Mason, Director of recruiters Mason Frank. “We’re thrilled with the level of detail this year’s report has been able to deliver. 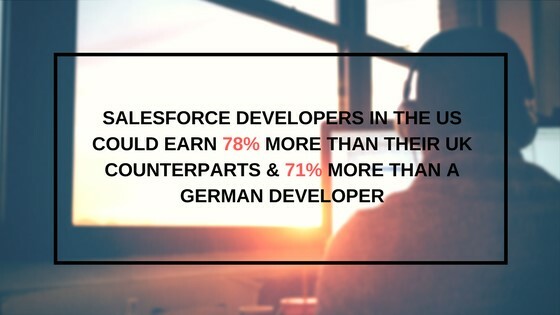 “Aside from high earnings, the study delves into workplace issues such as company culture and qualifications, even revealing most of the respondents don’t believe a degree is important for working with Salesforce. We thought this was particularly interesting considering the current higher education climate. Firstly i thanks for sharing an information with us. Really a great and well explained post regarding SalesForce Development Services. 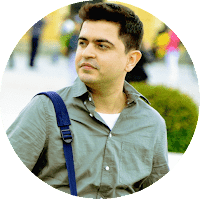 For a blogger, it's very important to that how they explain there ideas or knowledge so people understand and learn something new. Thank you for sharing.